The moment has come which defines the 32 teams into eight superfine groups for the FIFA world cup finals to be held in Samba nation Brazil and also lead to six months of dissecting , formulating alien plans .The national teams that made it to the Brazil World Cup finals also got to know their first rivals and also the cities where they will be based during the initial stage of the tournament. The draw for the finals took place at the Costa do Sauípe resort, in the north coast of the state of Bahia. Here’s a look at the format by which the draws were made. The draw produced eight groups of four teams (A to H) for the first round group phase. Each group consisted of one team from each pot. The teams in Pot 1 were placed automatically in position 1 for the groups in which they were drawn. Brazil was automatically placed in position 1 in Group A. The position of the other teams in the groups were classified 2, 3, 4 according to the draw. Pot 2 featured teams from three confederations (Africa, South America and Europe). At the beginning of the draw, there was a Pot X with the four South American seeded teams. One of these teams were drawn into the group in which the European nation from Pot 2 entered. This European team joined this group and the other teams from Pot 2 completed Groups A to H. Finally there were five groups out of the eight which included two European teams. Opening game of the world cup will be between Brazil and Croatia. Group G and Group D certainly forms the group of death. While Argentina, Brazil and France with somewhat easier draws. This draw certainly forms the perfect recipe for an unforgettable football mega event . 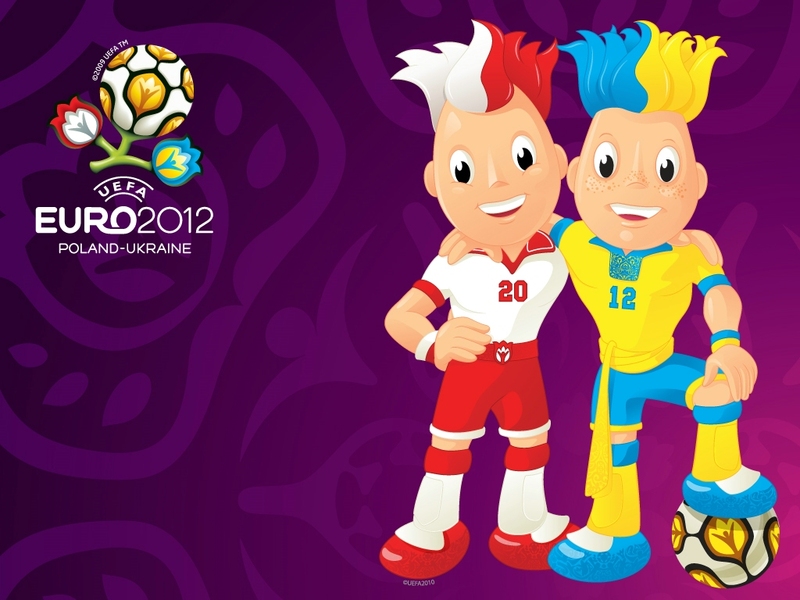 EURO 2012- A Tale of Underdogs ! The most coveted extravaganza returns again this summer as 16 best national teams across Europe clash with each other to grab the crown of Europe Euro 2012. 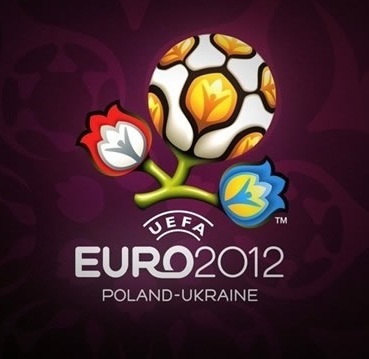 The tournament this year takes place in Ukraine and Poland. As has been the case for the past 4 years Spain enters the tournament as heavy favourites. Other likely teams to challenge world champions Spain are Germany, Netherland, England, Italy and France. But here we will not be talking about most likely ones but the most unlikely ones The Underdogs. Eight years can change a lot and it did for Greece. From being unlikely winners that beat the Portuguese sensationally to win the title in 2004, Greece have disappointed at major finals, exiting in the group stages at Euro 2008 and the 2010 World Cup. The European Champions from 2004 will come to Poland hoping that they will come close to their last huge success. Greece secured their place at the finals thanks to an unbeaten qualifying campaign which saw them amass 24 points from a possible 30. It was based on their solid defense, which leaked just five goals in ten qualifiers. 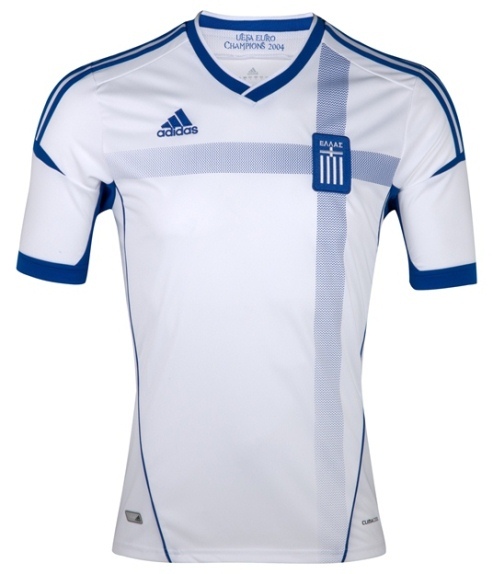 At the other end, Greece’s 14 goals was the lowest return of any of the sides to reach Euro 2012. Greece may have come through qualification unmarked but few will be expecting a repeat of their 2004 heroics after a gradual downfall in the eight years since, stuck by a lack of emerging talent coming through the ranks. They do have a chance to go through the group stage mainly thanks to good draw that gave them hosts Poland and Russia to hustle for the quarter-final position. Goalkeepers: Kostas Chalkias (PAOK FC), Michalis Sifakis (Aris Thessaloniki FC), Alexandros Tzorvas (US Città di Palermo). Defenders: Vassilis Torossidis (Olympiacos FC), Kyriakos Papadopoulos (FC Schalke 04), Sokratis Papastathopoulos (SV Werder Bremen), Avraam Papadopoulos (Olympiacos FC), José Holebas (Olympiacos FC), Giorgos Tzavellas (AS Monaco FC), Stelios Malezas (PAOK FC). Midfielders: Kostas Katsouranis (Panathinaikos FC), Giorgos Karagounis (Panathinaikos FC), Giannis Maniatis (Olympiacos FC), Giorgos Fotakis (PAOK FC), Grigoris Makos (AEK Athens FC), Giannis Fetfatzidis (Olympiacos FC), Sotiris Ninis (Panathinaikos FC), Kostas Fortounis (1. FC Kaiserslautern). Forwards: Dimitris Salpingidis (PAOK FC), Giorgos Samaras (Celtic FC), Fanis Gekas (Samsunspor), Nikos Liberopoulos (AEK Athens FC), Kostas Mitroglou (Atromitos FC). They are yet to taste glory at any of the big tournaments, with a second-placed finish at the European Championships in 2004 their best performance. They have managed to reach the last four on two other occasions, in 1984 and 2000.They are yet to make it to the final of any World Cup, while last time out they were eliminated by ultimate champions Spain in the second round. This time around they are put up in group of death with Holland, Denmark and Germany. They will face a tough task as they will try to make it out of a very talented and difficult group.but they rely heavily on the abilities of Cristiano Ronaldo, who netted seven in the last eight matches of qualifying. The Real Madrid star has managed 60 goals in all competitions this season, including 46 in La Liga. Only worry for them is the quality of wide men beyond Ronaldo and Nani and its doubt of the back-ups will be as threatening. 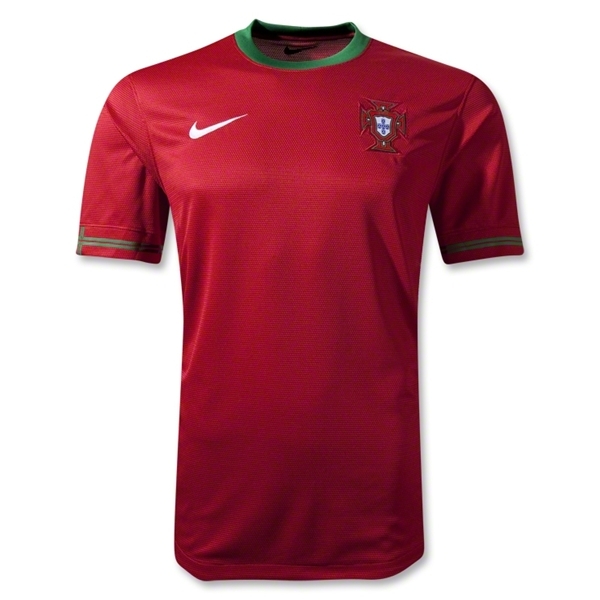 Group of death is certainly pop out some surprises and Portugal could be one of them. Goalkeepers: Eduardo (SL Benfica), Rui Patrício (Sporting Clube de Portugal), Beto (CFR 1907 Cluj). Defenders: João Pereira (Sporting Clube de Portugal), Fábio Coentrão (Real Madrid CF), Bruno Alves (FC Zenit St Petersburg), Rolando (FC Porto), Ricardo Costa (Valencia CF), Pepe (Real Madrid CF), Miguel Lopes (SC Braga). Midfielders: Raúl Meireles (Chelsea FC), Miguel Veloso (Genoa CFC), João Moutinho (FC Porto), Rúben Micael (Real Zaragoza), Carlos Martins (Granada CF), Custódio (SC Braga). A team which failed to qualify for the 2010 FIFA World Cup and was largely unimpressive throughout the qualifying campaign this year, Croatia managed to qualify for Euro 2012 thanks to two-legged win over Turkey. ‘The Checks’ have reached four of the last five Euro finals, so they are no passerby. Croatia finished second in their group, behind eventual winners Greece. Defeat to the Greeks and a surprise loss away in Georgia meant that Croatia would have to enter the competition via the playoffs.Croatia beat Turkey 3-0 in the first leg of the playoff, effectively ending all hopes the Turks had of entry. Ivica Olic scored after three minutes, Mario Mandzukic added a second and Vedran Corluka added a third in the second half. The second leg finished goal-less, and Croatia progressed to the finals. It’s most likely that powerhouses Spain and Italy to take the top two spots easily in Group C, however Croatia are known giant-killers and always pumped up double when playing the bigger nations. 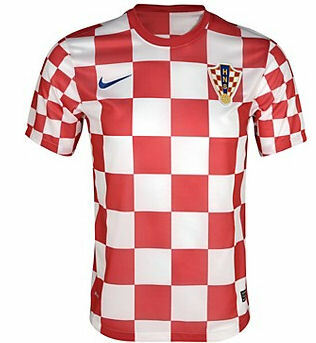 Having never lost to Italy in the six matches they have played each other, coupled with the fact the Italians are infamously slow-starters, Croatia has every chance of getting through the group stage, provided players such as Modric, Jelavic and captain Darijo Srna continue their good form. Goalkeepers: Stipe Pletikosa (Rostov), Danijel Subasic (Monaco), Ivan Kelava (Dinamo Zagreb). Defenders: Domogoj Vida (Dinamo Zagreb), Vedran Corluka (Tottenham), Josip Simunic (Dinamo Zagreb), Gordon Schildenfeld (Eintracht Frankfurt), Ivan Strinic (Dnipro), Danijel Pranjic (Bayern Munich), Jurica Buljat (Maccabi Haifa). Midfielders: Darijo Srna (Shakhtar Donetsk), Tomislav Dujmovic (Real Zaragoza), Ognjen Vukojevic (Dynamo Kiev), Ivan Rakitic (Sevilla), Luka Modric (Tottenham), Ivan Perisic (Borussia Dortmund), Niko Kranjcar (Tottenham), Milan Badelj (Dinamo Zagreb), Ivo Ilicevic (Hamburg). Forwards: Ivica Olic (Bayern Munich), Nikica Jelavic (Everton), Mario Mandzukic (Wolfsburg), Eduardo da Silva (Shakhtar Donetsk). The co hosts may not have got the opportunity to go through qualifying campaign but they have been in a great form recently. Last time they had a good time in major tournament was when their legendary keeper and current boss Oleg Blokhin led them to the last eight of the 2006 World Cup. They will be led by their rather elderly skipper Andriy Shevchenko, and it won’t be wrong to say the former AC Milan hotshot is no longer the amulet he once was. One of the players to lookout for is Andriy Yarmolenko, considered the next Andriy Shevchenko by fans and media; the 22-year-old is the great white hope of Ukrainian football. Things that could work in their favour is home crowd advantage and the brilliant eastern-European atmosphere that comes along with it. They can certainly surprise with their performance and a bit of luck by making into the quarter finals. Rest time will tell. 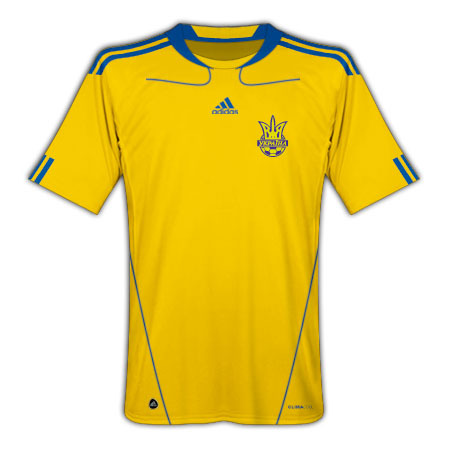 Goalkeepers: Oleksandr Goryainov (FC Metalist Kharkiv), Maxym Koval (FC Dynamo Kiev), Andriy Pyatov (FC Shakhtar Donetsk). Defenders: Bohdan Butko (Illychivets Mariupil), Olexandr Kucher (Shakhtar Donetsk), Taras Mikhalik (Dynamo Kiev), Yaroslav Rakitskiy (Shakhtar Donetsk), Yevhen Selin (Vorskla Poltava), Yevhen Khacheridi (Dynamo Kiev), Vyacheslav Shevchuk (Shakhtar Donetsk). Midfielders: Olexandr Aliyev (Dynamo Kiev), Denys Garmash (Dynamo Kiev), Oleh Gusev (Dynamo Kiev), Yevhen Konoplyanka (Dnipro Dnipropetrovsk), Serhiy Nazarenko (Tavriya Simferopol), Ruslan Rotan (Dnipro Dnipropetrovsk), Anatoliy Tymoshchuk (Bayern Munich), Andriy Yarmolenko (Dynamo Kiev).